While we have yet to source a supplier of more time on Alibaba, we can at least find ways to maximize our use of the 24 hours a day we do have. In Session 18, we dig in to some productivity and time management tips and tools that we find most helpful to manage all that we have to cram into any given day. How you can do more with the time you have to build the best business possible, regardless of how much time that you have? We will offer some tools and ideas to help you get there! Before we get into the meat of the presentation, let’s get some updates on Jungle Snugs. The lack of high quality lifestyle images was one of the biggest shortcomings of our listing at this point. With better images, we increase our likelihood of standing out in the search results, generating more clicks and conversions. Our organic ranking for main keywords is also improving as we get more sales history and social proof (ie good reviews). 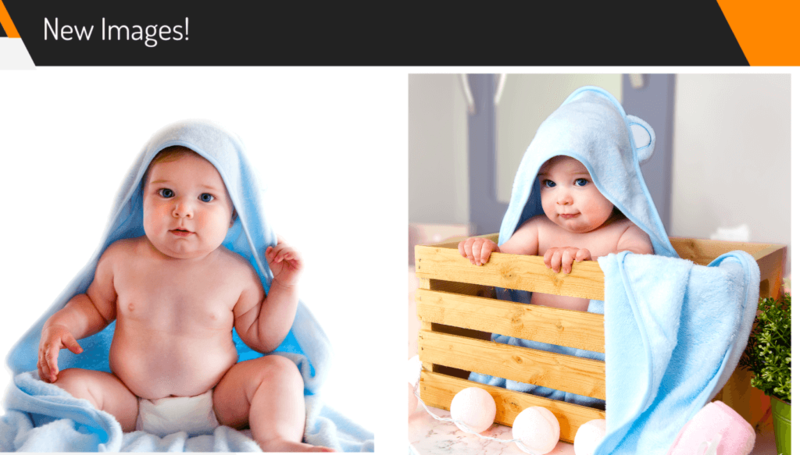 We are currently ranking 9th for the keyword “baby hooded towel”. 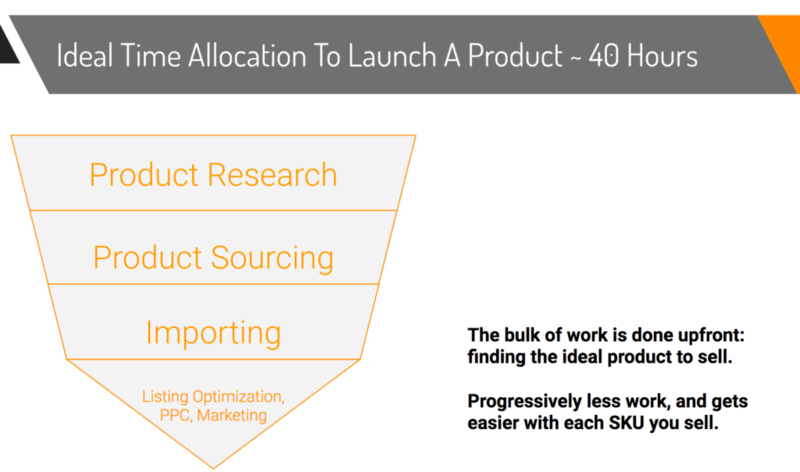 So if a bunch of the work is concentrated at the very beginning, how can we push through to get to the smooth sailing of having a product that ultimately sells itself? Greg outlined five thoughts that drive maximum productivity on an ongoing basis. Planning tasks ahead of time, daily and weekly tasks, is highly important to stay on course and executing on goals. Greg tends to plan things out on a calendar, working backwards from a goal and breaking up the end goal with high bite-sized tasks. Ideally you can work from Quadrant 1, that which is both important and urgent, and continue focusing on Important work. The tasks that are less important can be delegated out or outsourced. Relentless focus is how things get done. That’s not much of a revelation. And nor is the statement that avoiding multitasking is beneficial. However, it is incredibly hard to do if you are on a computer and have dings, rings, beeps, and buzzes coming at you all the time. Facebook, Instagram, Twitter, the distractions will never stop! The Pomodoro Technique – Pretty simple. Work, uninterrupted, for 25 minutes on one task. Take 5 minutes to move around or scroll your feeds. Then back at it. There are a variety of tools to help you stay on track. One that I have used and like is Forest, a free Chrome extension to help you stay on task. Noise Canceling Headphones – the noise canceling version from Bose are nice. They’re too fancy for my blood though, I just have the normal in ear buds, but they are infinitely helpful in blocking out the background noise and outside sound. There’s nothing that spurs on work like cat-in-a-blender screeches of dubstep. Duet App – This is actually the opposite of avoiding multitasking, but there’s a great app that helps you connect your ipad to your computer (PC or Mac) for $9.99. It’s called Duet, and works seamlessly to have a second monitor anywhere you bring your laptop and ipad. Not much to add to the wisdom of Mark Twain here. As mentioned above, the Jungle Market is a very helpful way to affordably get extra help on your Amazon business. You can find everything you’ll need from professional Amazon consulting, graphic design, product photography, listing copywriting, and also a ton of other stuff. Everyone advertised on the Jungle Market also has experience working on with Amazon sellers, so they know exactly what to do which will take a load of stress off your hands. Ready to start growing your Amazon business? Get access to the best Amazon freelancers all in one place! Waiting for perfection can cause you to delay a launch until… forever. Nothing will be perfect, so waiting for the perfect final touches should never be the hold-up between launching and not. “If you are not embarrassed by the first version of your product, you have launched too late” are the wise words of Reid Hoffman, founder of LinkedIn. The takeaway is simple: Just get started! You just have to put it out there if you want to start and scale your business. The nice thing about Amazon, as with many other things in life: you can always change it down the road. 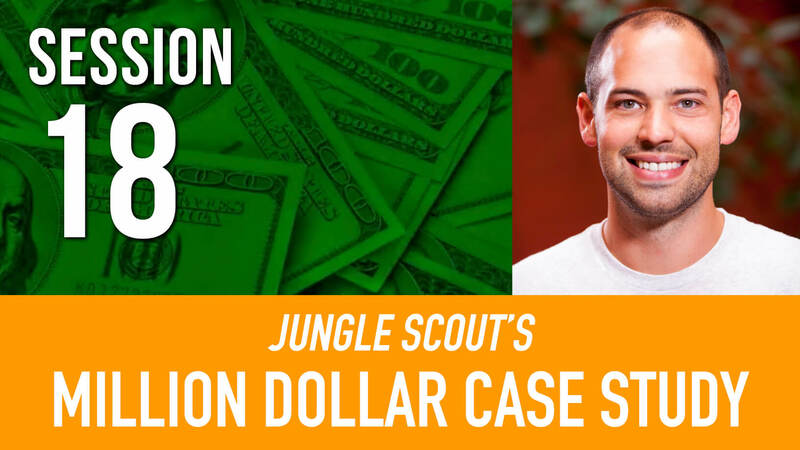 Jungle Snugs launched with less-than-perfect images, copy and an estimation of pricing. But we will gather data, review and improve it going forward! Which is exactly what we will do in Session #19 of the Million Dollar Case Study next week. 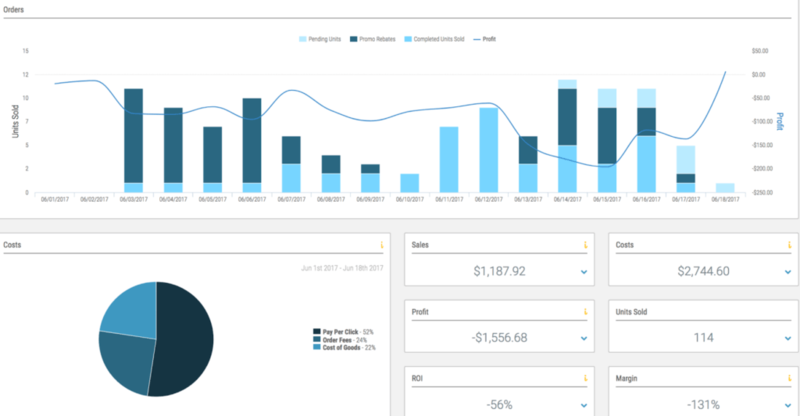 If you are following along and launching your own product, make sure you are reviewing your progress just like we have at the beginning of this post. What are your findings? Let us know in the comments! Hopefully these productivity tips will help you to improve workflow in the coming months. 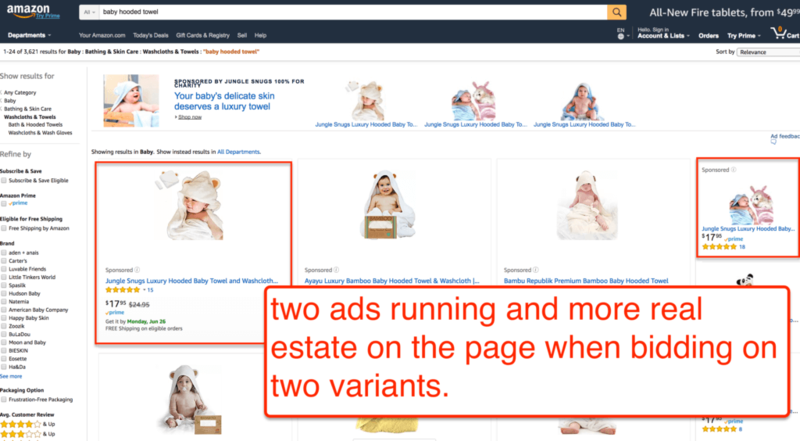 These tips have been learned and tested by Greg and many other successful Amazon sellers. There’s no one-size-fits-all rule, so if you have any other cool productivity hacks then do drop those in the comments too! In the next session, we will be optimizing our pay per click campaigns that we launched back in Session #13. Greg reviews the data that we’ve collected, and makes changes to the campaigns to maximize our ROI and ramp up our conversions! Be sure to catch this highly actionable content on how to run the best pay per click campaigns possible – watch the replay. It is so cool to know that Greg IS a civil engineer. I am a civil engineer and making 6 figures. However, like Greg said I want the freedom to do what I want without worrying about my job. I am following the MDCS. I will launch my FBA in 2 months. Hopefully, I can make it. Thanks for all you are doing. 1. Greg mentioned buying his own product to see what the experience was like, how it shipped, etc ? How do you do this without violating Amazon TOS ? 2. Slightly related to this question, if I have set up an LLC, would you recommend creating a company email via gmail for Amazon seller accounts, supplier communications, etc to separate from my personal email? I’ve seen greg has a “-seller” added to his email on some screenshares. glad that you’ve enjoyed it. 1. You can buy your own product, you just can’t leave yourself a review. 2. you won’t need your own unique domain for emails, of course you can if you wish, but we’ve purchased all of our private label products without a unique domain, just a normal @gmail.com. hope this helps! would you email me? i would email you some screen shots for JS result for JUNGLE SNUGS. i try to understand why some product items are on the top of the list. i can not post screen shots here.